THE RIGHT SINKER for the situation makes a difference. Even my mere dabbling in team competition has forced me to make some discoveries for myself, rather than wait for the pros to confide (as I had for years). And one area that has been a revelation to me is the size, shape and weight of drop-shot sinkers–and how they matter. I wouldn’t begin to address all situations here, but there are a few that keep popping up locally, and each one seems to make a difference. Some examples. (Again, I’m just talking a narrow realm). One, sinker weight is usually associated with depth. The deeper you go, the heavier you need to get the bait down there. But there’s more. Getting it down fast and keeping it down also matter. Kevin VanDam has admitted to drop-shotting, I’ve read, but his weights push half-ounce or more. 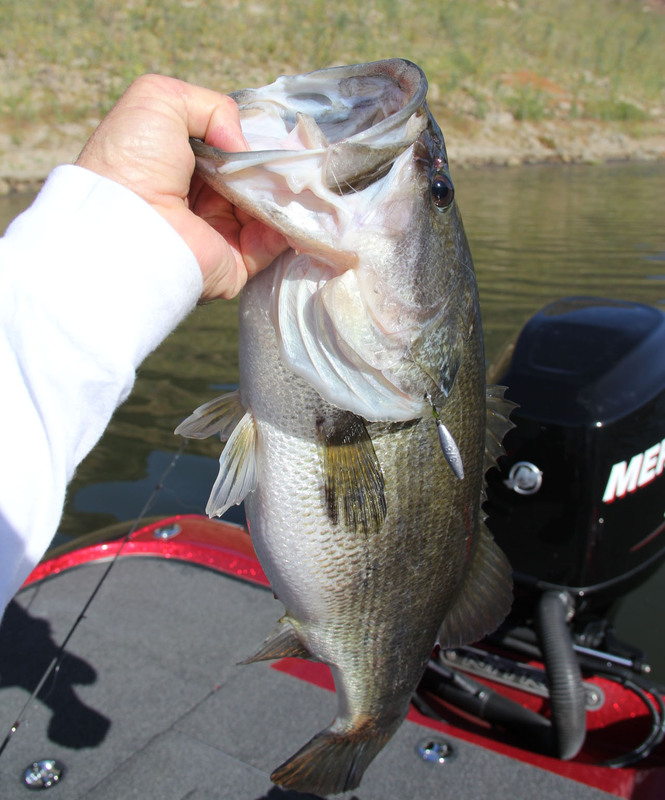 He wanted to fish fast, and in effect, his quick hopping of the heavier rig was to draw reaction strikes. For my gear, that’s too heavy. But a 3/8-ounce, log-shaped sinker is firm down to 25 and even 30 feet, yet it also falls suddenly on unsuspecting fish in far shallower water. That’s then I often get popped before I’ve made my first turn of the handle. But if bottom contact, and not a lightning fall are in order (say on mixed rock, wood, or even mussel) then a broader (surface area) sinker is advantageous. It’s hard to believe a double-tapered teardrop weight would get you “out of trouble,” but it does. 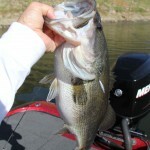 It may land in the same grabby bottom spots, but it often eases out with a bit of patience and a high rod tip position. Having just come from Lake Hodges (North San Diego County) a sinker’s weight means a lot in another bottom type. The dark, basaltic rock along much of the south side of the main lake, is fraught with sharp corners and fissures and there is no sinker fat enough to land in a safe spot on these rocks. Your only hope is to go light–perhaps as little as one-eighth ounce. In the lightest weights, the teardrop versions seem almost blade-like. Yes, you still end up in a lot of cracks, but you can lift and shake them back out of many better than with bulkier shapes. I won’t argue that a heavier sinker may make for a better presentation, but it’s inefficient if you have to break them off or retie every couple of casts. At least, that’s what I’ve found. This entry was posted on Tuesday, June 2nd, 2015 at 3:42 pm	and is filed under Features, News. You can follow any responses to this entry through the RSS 2.0 feed. You can leave a response, or trackback from your own site. I mostly use the narrow, cylindrical drop shot weights. They don’t seem to get hung up as much in the rocks, and I find that when they do get hung I can get them out fairly easy. I tried the tear drop style, and the round weights, but they got hung up a lot in the rocks, and they were more difficult to get out.